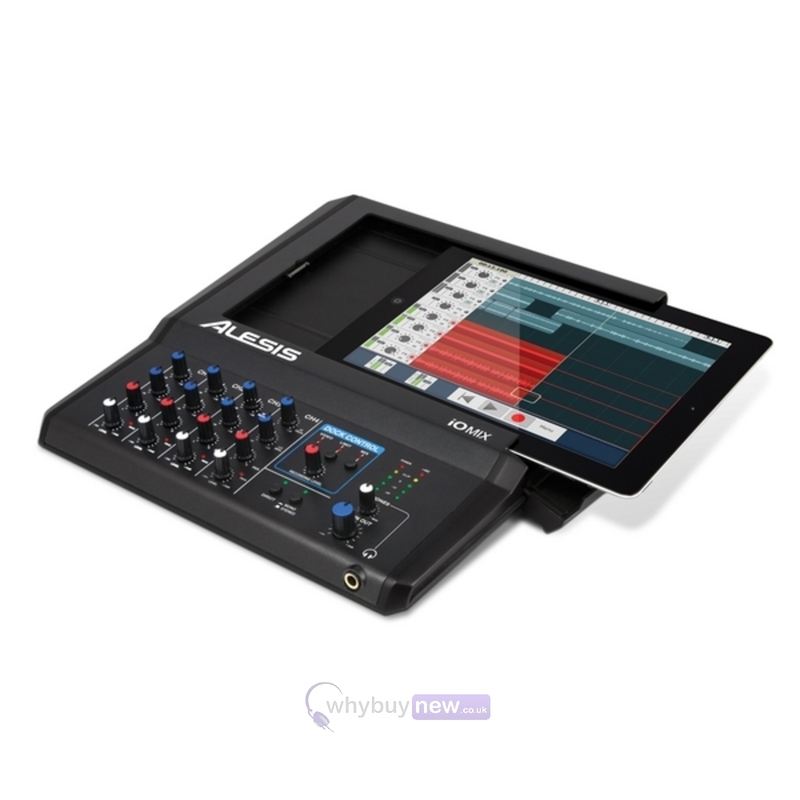 iO Mix is a revolutionary new product from Alesis that converts your iPad into a portable studio recording device.Alesis IO Mix allows you to record multiple inputs (mics or instruments) directly into GarageBand or any other compatible Core Audio app. 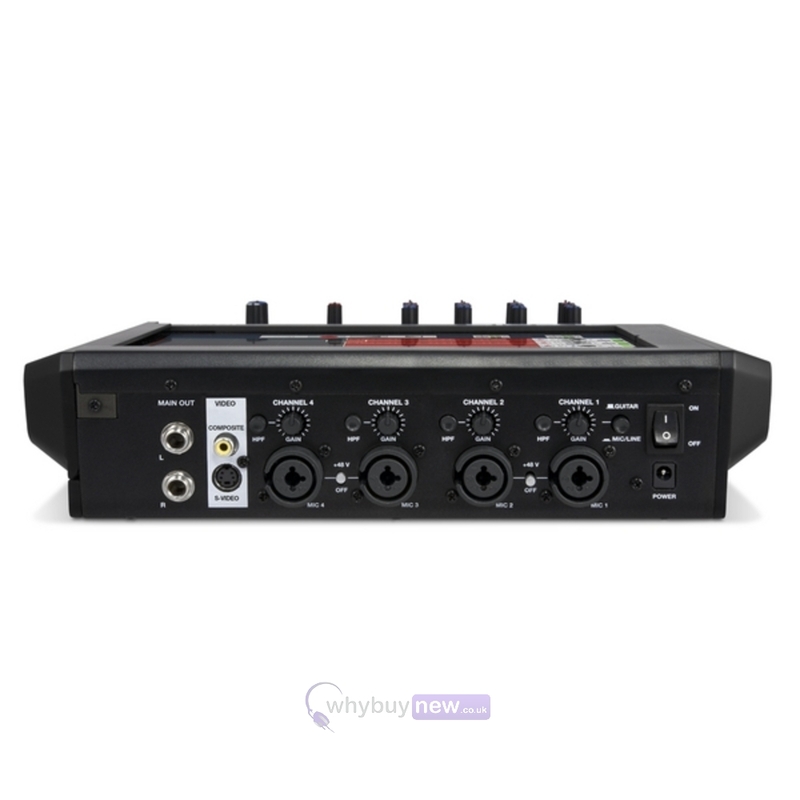 Alesis iO-Mix has all the connections you need onboard, including four combo XLR-1/4" input channels and balanced, stereo 1/4" outputs. The iO Mix also has a video output, making it perfect for everything from presentations and corporate meetings to home entertainment and live performance visuals. 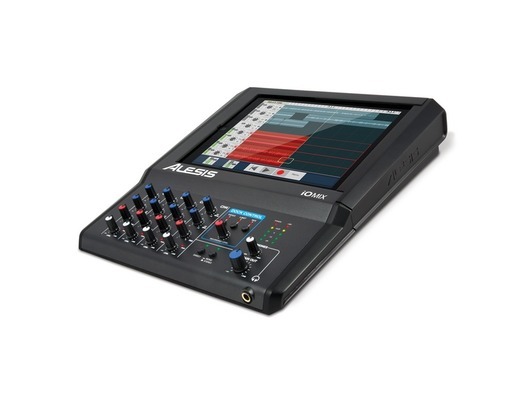 IO-Mix is quick and simple to setup and operate with easy iPad integration meaning that no additional cables, interfaces or hardware is required. Despite harnessing this modern technology, IO Mix maintains a familiar, ergonomic layout meaning that operation will be intuitive for anyone with experience of 'traditional' units. iO Mix allows you to connect virtually any piece of recording gear to your iPad: microphones, instruments, speakers, headphones and more. Four combo XLR-1/4" input channels are exactly where you need them on the rear of the unit. Each has trim, channel gain, pan, and low & high EQ controls located right in front of you. Push-button High Pass Filters are also available on each channel to eliminate low-frequency interference in live mixing and recording situations. iO Mix features switchable 48V phantom power which allows you to use studio condenser microphones and iO Mix's guitar-direct switch makes guitar recording easy. You don't even need an amp! Simply connect your guitar or bass, flip the switch and use your iPad to add effects like reverb and delay. Balanced, stereo 1/4" outputs and 1/4" headphone output are also onboard along with a switchable limiter for clip-free recordings. iO Mix is Core Audio-compliant, allowing you to use it with virtually any app in the App Store. Plus, your iPad's WiFi, Bluetooth, AirPlay, and 3G connectivity, allow you to tailor your sound at a moment's notice or playback audio through compatible wireless speakers. Download new effects or filters to deal with unexpected live sound needs, or download songs, videos or entirely new applications to keep your audience entertained during a gig or the band's creative energy flowing during a recording session. 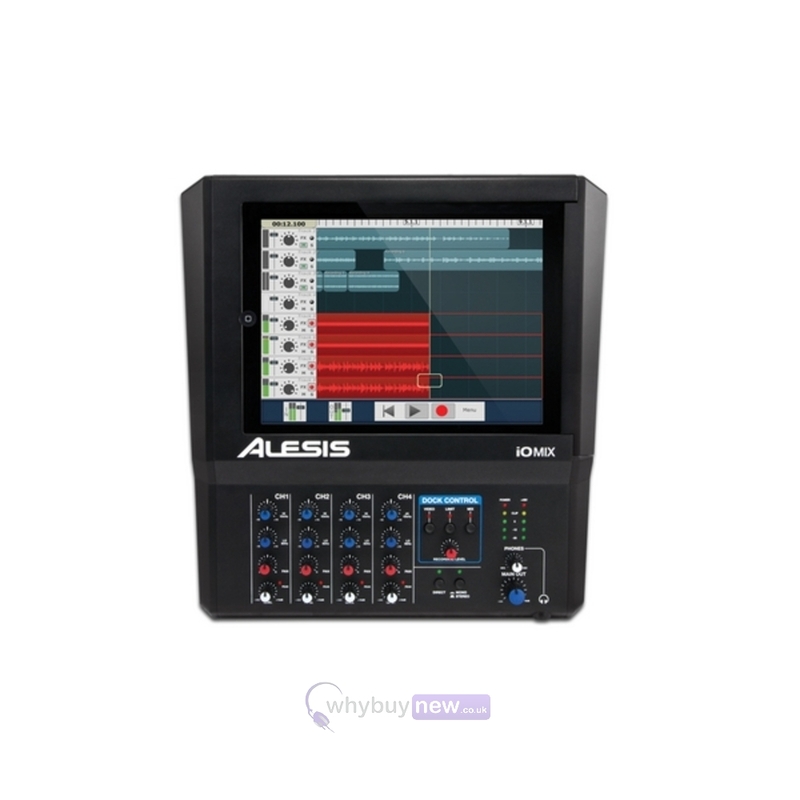 In addition to four-channel audio mixing and recording, iO Mix supports video playback making it ideal for applications that were previously impossible. You can use the iO Mix to not only mix and record, but also playback live performance visuals behind the band. The iO Mix is also great for corporate presentations and business meetings, allowing up to four speakers to be mic'd and have video playing back simultaneously. 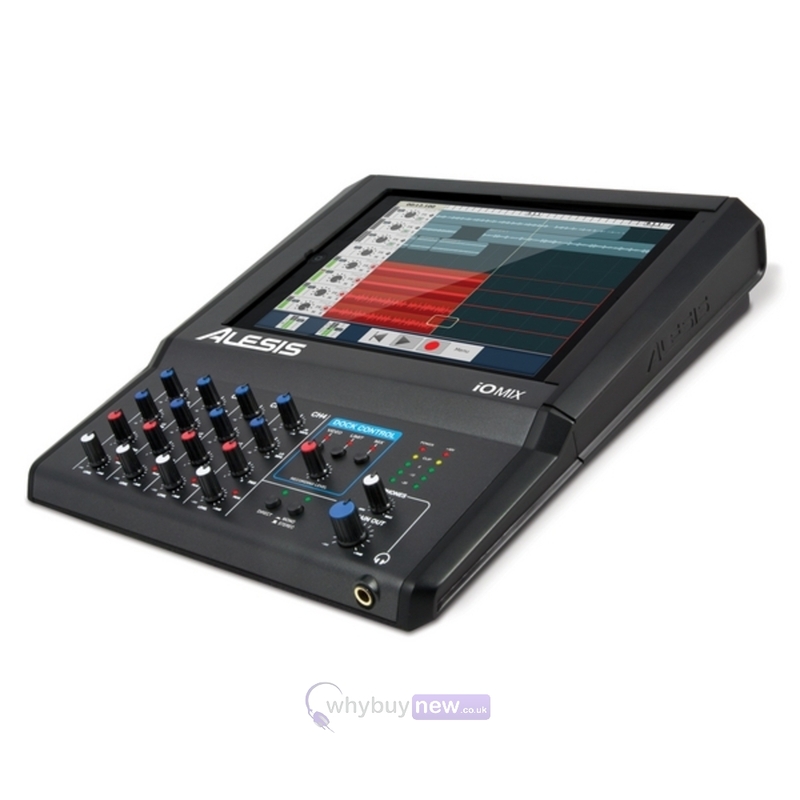 With the optional Alesis Module Mount, you can attach the iO Mix to a nearby mic stand and have easy access to instantly adjust any mixing, recording or video-playback parameter.